I love the aroma of crisp apples baking in the oven. They fill the kitchen with the scent of fall. 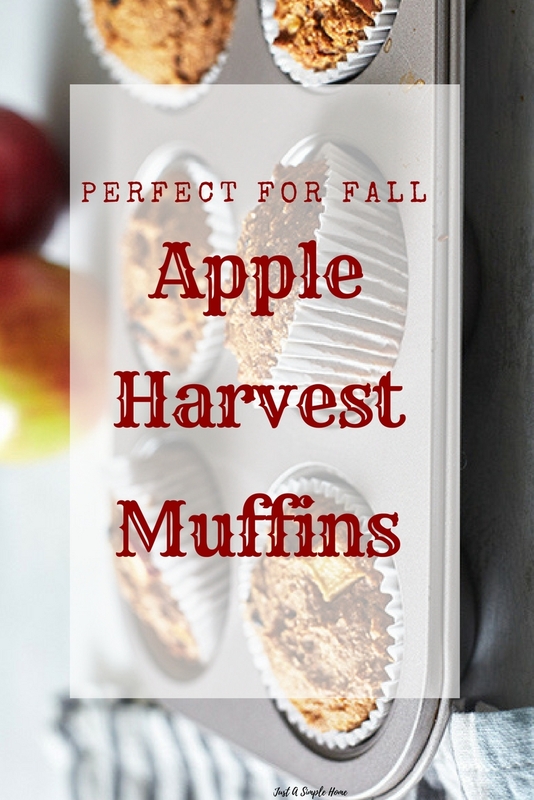 You can bake these Apple Harvest Muffins at any time of the year, but they’re really the best in fall, when apples are at their peak! My family goes apple picking every September and we stock up on apples! My kids can’t wait to bake these muffins when we get home. You can freeze these muffins to enjoy at a later time as well. Prepare twelve muffin cups by lining with muffin papers or coating with spray. Combine flour, bran, baking powder, and baking soda in a medium bowl; mix well. Set aside. Combine apple butter, buttermilk, and egg whites in a large bowl; mix well. Add flour mixture to apple butter mixture; mix until just blended. Add apples and prunes; mix until just blended. Divide batter among twelve prepared muffin cups. Bake for 16 to 18 minutes, or until golden brown and tester inserted into the center comes out clean.